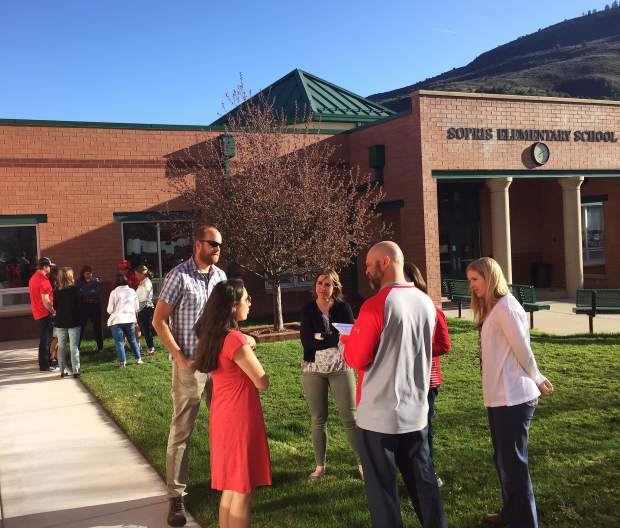 In this April 2018 file photo, Roaring Fork School District board members lead group discussions with teachers outside Sopris Elementary School to discuss education funding and teacher pay issues. DENVER (AP) — Over 10,000 Colorado teachers are expected to rally in Denver on Thursday and Friday for more school funding, cancelling classes for over half of the state's students.The teachers are using personal time to demonstrate and no large scale strike is planned like those seen in other states recently.The actions come as lawmakers have agreed to give schools their largest budget increase since the recession. But teachers say that the state has a long way to go to make up for lost ground.Since lawmakers don't have the power to raise taxes without asking voters, they're not expecting an immediate fix. The teachers' union is backing a ballot initiative to raise taxes on people earning more than $150,000 a year and corporations.They're also watching changes made to the state's pension system. Roaring Fork School District officials are allowing some area teachers to add their voice to a rally in Denver on Friday over teacher pay and education funding, in a move aimed at keeping district schools open. 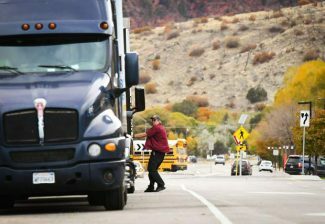 A delegation, including representatives from each of the district schools in Glenwood Springs, Carbondale and Basalt, will be allowed to take the day off and head to Denver for a demonstration at the state Capitol. To accommodate the local presence at the statewide rally, district and school-level administrators and other staff are also rallying to fill classrooms as substitute teachers for the day. 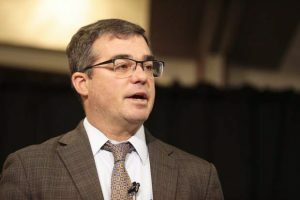 While some Front Range and mountain school districts have decided to cancel school for the day due to an expected teacher walkout to attend the rally, Roaring Fork Schools Superintendent Rob Stein said he didn’t want teachers’ decisions to act on the issue to impact students. 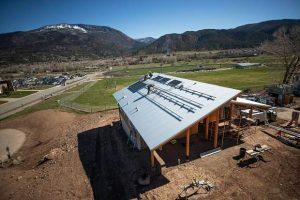 The district school board, meeting in Glenwood Springs on Wednesday night, also signed a resolution urging the state to act on increasing education funding amid the current positive financial climate in Colorado. District teachers are also planning a local rally, inviting community members to join, beginning at 5:15 p.m. this evening on the lawn next to the district offices in Glenwood Springs. “We want to show we’re in this together,” Stein said, adding that Colorado’s low ranking among states in terms of education funding, 46th out of 50, depending on how it’s measured, is a “strategic threat” to the school district. “It’s something that limits our ability to recruit and retain talent,” he said. By agreeing to allow a delegation of teachers to attend the Denver rally, instead of sitting back and seeing how many decide to go on their own, it’s a way to ensure school remains in session, Stein said. If more teachers decide on their own to take a personal day and join the caravan, the district would have to make a determination that morning whether school can remain in session, Stein said. Around 40 district teachers attended the Wednesday night school board meeting, encouraging the board to sign the resolution to send to state lawmakers. 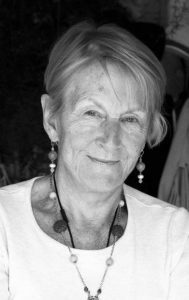 “Colorado needs to do a better job of funding public education,” said Rhonda Tatham, president of the Roaring Fork Community Education Association. State budget forecasts demonstrate that the money is available and economic growth is such that it should be sustainable to increase education funding, she said. It’s not only teachers, Tatham said, but bus drivers, custodians, support staff and others who also are impacted by pay issues due to a lack of adequate funding. “It’s not just about teachers throwing a fit saying we need more money; it’s about this collective group of people,” she said. Tatham pointed out in a presentation that, following the Great Recession of 2008, Colorado cut what has amounted to more than $822 million a year from education funding. Currently, Colorado spends $2,700 less per-pupil than the national average. Initially, several measures are currently before the state Legislature to begin to remedy the situation, including the annual school finance bill, which would increase funding by $222.57 per pupil, with a new base of $6,769 in per-student allocations to local school districts and other public schools. In addition, Senate Bill 200 would also increase the state’s contribution to the retirement fund for public employees, including teachers. Advocates are also starting to push for what’s now referred to as Initiative 93, a ballot proposal aimed at bringing Colorado in line with the national average for education spending. At the Wednesday meeting, board members facilitated small group sessions to gather ideas on how best to support teachers and staff in speaking out on the issue and to better educate the community about the issue. Part of that is dispelling misconceptions about how much funding comes from local taxes and how much comes from the state. “We are fortunate to have a community that does consistently say yes when we ask for money,” board member Jen Rupert said. In addition to bond issues for school facilities, district voters also supported a mill levy override several years ago that was directed toward increase teacher and staff pay. School board member Matt Hamilton urged the board to pass the resolution immediately, rather than wordsmithing it and bringing it back at a later time. Hamilton also urged caution in dedicating district resources to support civic action by teachers, saying he didn’t want it to become a debate about use of taxpayer dollars. The district had considered running a bus full of teachers to Denver on Friday, but it now appears they would prefer to carpool instead, Stein said.